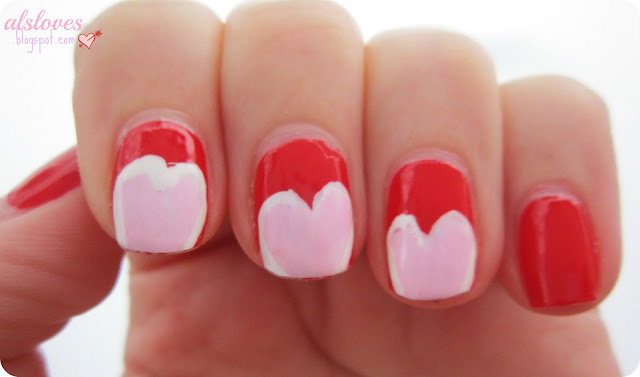 Al's Loves: Valentines Day Nail Art! It's almost Valentines Day! I get excited about all holidays, and you should too! 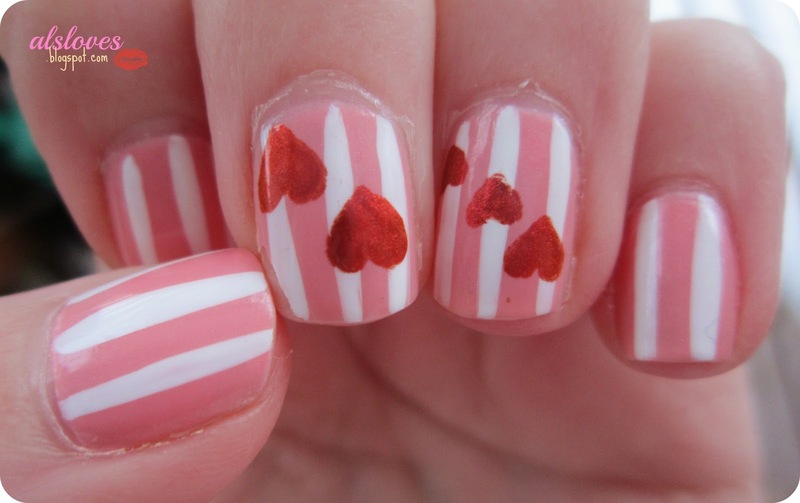 There is nothing more fun than getting into the spirit, so I have been sporting some Valentines inspired nails. The top picture I am wearing Joe Fresh Blush with a white striper and I used the Sally Hansen nail art pen in red. On the second hand I am wearing Gosh Classic Red and OPI Mod About You for the pink and the white striper and a dotting tool for the outline.